Gemma Rosefield was winner of the prestigious Pierre Fournier Award at Wigmore Hall in 2007. She made her concerto debut at the age of sixteen, when she won First Prize in the European Music for Youth Competition in Oslo, Norway, playing a televised performance of the Saint-Saëns Concerto with the Norwegian Radio Symphony Orchestra. Other numerous awards and prizes include the Premier Prix Maurice Ravel in France, the Vice-Principal’s Special Prize at the RAM, and the Gold Medal at the RNCM. Described by The Strad on her 2003 Wigmore Hall debut as “a mesmerising musical treasure”, by the London Evening Standard in 2005 as “a phenomenal talent”, and featured in BBC Music Magazine as “one to watch” in 2007, Gemma has made her solo debut in the Concertgebouw, Amsterdam and in The Diligentia, The Hague, in the New Masters International Recital Series. She gave the highly successful Pierre Fournier Award recital in September 2008 at Wigmore Hall, and also the 2008 and 2009 Jacqueline du Pré Memorial Concerts at the same venue. She performs regularly on BBC Radio 3, including notably Michael Ellison’s Concerto for Cello and Turkish Instruments with the BBC Symphony Orchestra. Gemma has played widely outside the UK, in the USA, Russia, Japan, Mexico, Kenya, New Zealand, and throughout Europe. In 2011, Hyperion released a CD of Gemma playing the Complete Works for Cello and Orchestra of Sir Charles Stanford with the BBC Scottish Symphony Orchestra and Andrew Manze. BBC Music Magazine considered the Stanford Concerto to be “superbly played” and Gramophone commented that Gemma “plays with disarming character and freshness; her technique too is enviably sure and tone beguilingly rounded”. Gemma gives some fifty performances a year as cellist of Ensemble 360, Royal Philharmonic Society Medal Winners, 2013, whose performances are described by The Independent as “brimming with body and soul, with passion, vitality and virtuosity, whose performances never cease to amaze”. She is also cellist of the Leonore Piano Trio, with whom she has toured recently in Italy and New Zealand, including a broadcast performance in the New Zealand Parliament. In 2014, Hyperion released the premiere CD of the Trio, of the two Piano Trios by Arensky. The Observer described their performances as “revelatory” with “sumptuous breadth and beguiling warmth”. The Gramophone commented that the Trio played “with truly glorious affection” and that “it is hard to imagine playing of a greater intensity”. This CD was BBC Radio3 disc of the week. 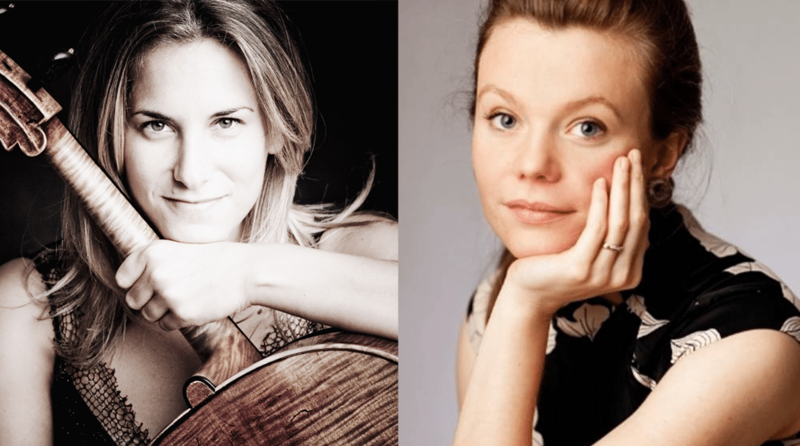 The Trio recently performed the 2014 Jacqueline du Pré Memorial Concert at Wigmore Hall. In 2014, Gemma gave a Sunday Morning Concert at Wigmore Hall with Tim Horton, and she performed the premiere of a new work for Cello and Choir by Cecilia McDowall at Westminster Abbey. She has recently returned from Tallinn, where she played the Dvořák Cello Concerto with the Estonian National Orchestra and Vello Pähn. Gemma is planning, with the Leonore Trio, to embark in 2015 on a project to perform all the works by Beethoven for piano trio, violin and piano, and cello and piano. Clare Hammond was acclaimed by The Daily Telegraph as a pianist of “amazing power and panache”. She gave debut recitals at the City of London, Cheltenham and Presteigne Festivals, and made return visits to the Wigmore and Bridgewater Halls in 2013. 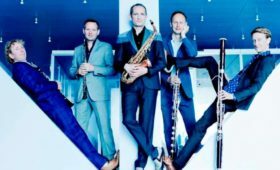 Her Purcell Room debut for the Park Lane Group concert series was praised by The Guardian for its “crisp precision and unflashy intelligence”. A passionate advocate of twentieth and twenty-first century music, Clare combines a formidable technique and virtuosic flair onstage with stylistic integrity and attention to detail. Highlights in 2014 include 3 BBC radio broadcasts, debut performances at 7 festivals across Europe, including the “Chopin and his Music” Festival in Warsaw, the world premieres of works by 10 composers, and a Panufnik Centenary tour of Poland under the aegis of the British Council’s “Artists’ International Development Fund”. Clare released her debut CD for Prima Facie Records in 2012, and appeared on BBC Radio 3’s “In Tune” to promote the disc. In 2013 her BBC recording of the 6 études by Unsuk Chin was broadcast on Radio 3’s “Hear and Now” while her recital at the Wigmore Hall in 2012 was featured on “Live in Concert”. Her performance that evening of Le Tombeau de Couperin by Ravel was chosen as one of their classical highlights for the month and later broadcast on Radio 4 in the Netherlands. Highlights in 2013 included the premieres of works by Kenneth Hesketh, Ed Hughes, Robert Saxton and Robert Peate, three BBC broadcasts and two discs for BIS records; one of the complete solo piano works of Andrzej and Roxanna Panufnik and the other of études by Unsuk Chin, Karol Szymanowski, Nikolai Kapustin and Sergei Lyapunov. The Guardian wrote of her performance of Ken Hesketh’s Horae at the Cheltenham Festival that she “displayed its scintillating passagework and poetic calm with great flair”. In recent years, Clare has performed at St George’s Bristol, the Queen’s Hall in Edinburgh, Cheltenham Town Hall, the Barber Institute in Birmingham and the City of London, Presteigne and Brighton Festivals. She was Artist-in-Residence at Queen’s University Belfast in 2012-13 where she gave the world premiere of recently discovered pieces by Hamilton Harty and made two broadcasts for BBC Radio Ulster. 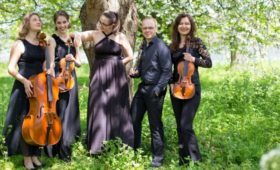 An active chamber musician, Clare has worked with Andrew Kennedy, Jennifer Pike, Philippe Graffin, Lawrence Power, Ruth Palmer, Sara Trickey and the Endellion, Dante and Badke String Quartets. She has recently formed the Odysseus Piano Trio with violinist Sara Trickey and cellist Gregor Riddell. Clare is curating a chamber festival at Kings Place in November 2014, to celebrate the centenary of the birth of composer Andrzej Panufnik, at which she will perform alongside the Brodsky Quartet and mezzo soprano Heather Shipp. 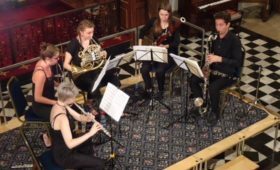 Eager to extend the boundaries of traditional concert life, Clare is intrigued by new perspectives that musicological study can bring to bear on performance. She completed a doctorate on twentieth-century left-hand piano concertos in 2012 and gave lectures and seminars as part of her residency at Queen’s University Belfast. Clare is also in demand as a speaker and has been invited to give presentations at Oxford, Manchester, and Surrey Universities this season. On the concert circuit, she enjoys introducing recitals, pre and post concert talks, and giving lecture recitals and workshops to audiences of all levels. Clare completed a BA at Cambridge University, where she obtained a double first in music, and undertook postgraduate study with Ronan O’Hora at the Guildhall School of Music & Drama and with Professor Rhian Samuel at City University London. She is grateful for the support of the Fidelio Trust, Musicians’ Benevolent Fund, RVW Trust, the Vernon Ellis Foundation, Stradivari Trust and the Chandos Memorial Trust.